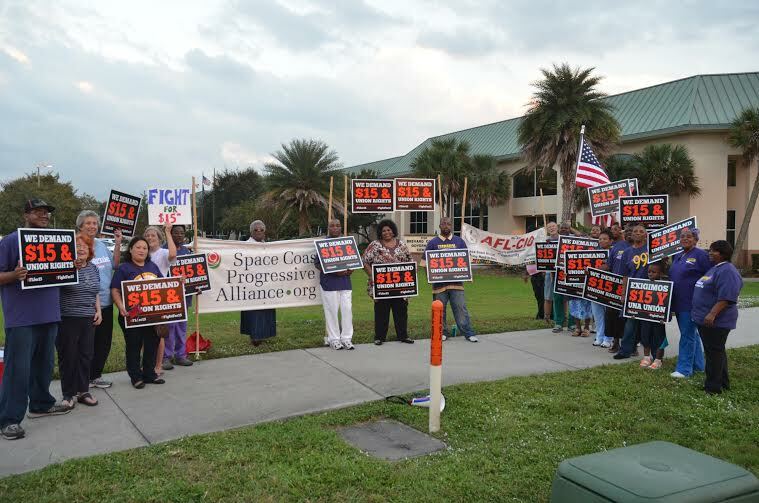 Protesters organized by the Space Coast Progressive Alliance rallied outside the Brevard County government center in Viera, Florida.Credit: Phillip Stasik. VIERA, Florida - Protesters organized by the Space Coast Progressive Alliance rallied outside the Brevard County government center in Viera, Florida on Tuesday, joining a nationwide protest to demand a $15 minimum wage and union rights. 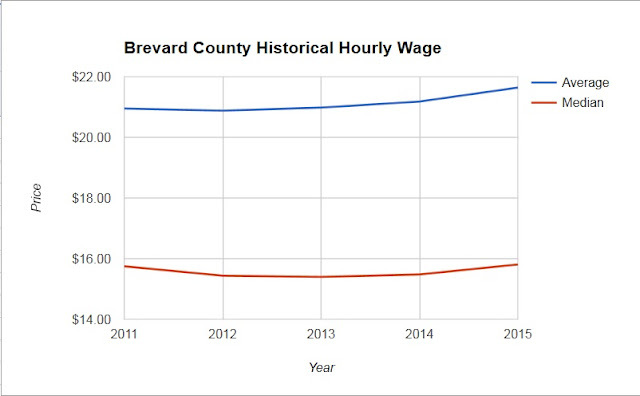 According to Florida Department of Economic data, Brevard County's median hourly wage has remained just under $16 per hour from 2011-2014, while the average hourly wage hovers just about $21 per hour.